Here is a guest post submission from our pal Tony D. over at Beer Chronicle Houston. Please contact us via the contact form if you have the itch to submit a guest post to be published. Houston Texas. Home of the world’s biggest livestock show and rodeo and a ton of beer drinkers. 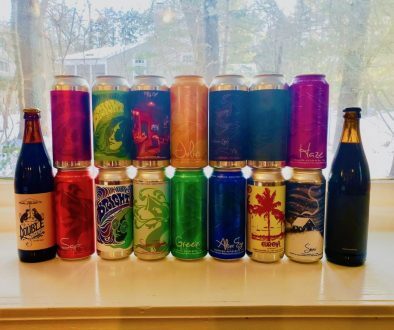 Houston used to be a craft beer desert, but strange things are afoot in the beer aisle of the Circle K.
We here at Beer Chronicle Houston have been along for the ride for a few years now, and Houston’s going from 0 to 100 real quick — depending on who you ask. Even in 2018, many Space City beer nerds will claim that Houston’s behind the nation, but a brief history lesson on Houston beer will provide polarizingly different results. Craft beer, like so many other things, has grown, tapered off, and grown again in a cyclical way. That holds true on a national level as well as right here in H-town. All that said, let’s rewind to the first beer-related full-page ad in the Houston Chronicle to tell the whole story of Houston beer. Back in the humid Houston summer of 1913, Houston Ice and Brewing called their beer “the world’s finest bottled beer” after garnering worldwide recognition with the Grand Prix of the Exposition medal at the international beer competition held in Ghent, Belgium. It’s no news that Europe had led the world in beer up to that point, so honors of that caliber were something special to say the least. Prohibition would slow those accomplishments to a halt just 6 years later in 1919. While Houston is currently now known as the, “City with no limits,” the spirit of ingenuity was ever at work nearly 100 years ago. Fast forward to 1935, just 2 years after prohibition’s repeal by FDR, and the US’ brewery headcount was up to 766. The ebb and flow of beer in the US would continue to swell and recede until 1979 when we as a nation crawled by with only 44 breweries. The shrinking would continue until 2006 when there were only 20 “traditional” breweries, largely comprised of national brands that we now know as BMC – Bud, Miller, Coor’s. Despite the national decline in what we now know as “craft beer” there were still good people at work here in the Bayou City. One Scott Birdwell, bolstered by a taste for what beer could be during a 1977 European trip, decided he’d change Houston’s beer landscape forever. While the jury’s still out as to whether or not he knew it at the time, Houston would never be the same because of his new found passion. Just before Charlie Papazian co-founded the American Homebrewer’s Association, Birdwell would brew his first batch of home brew before it was even fully legal. Back in January of 1978, President Jimmy Carter paved the way for legalization of Homebrewing. All the while Birdwell was already mashing in. He’d later become the owner of Houston’s first home brew shop, DeFalco’s, and in 1980 he helped push a bill to Texas Legislature that would eventually legalize homebrewing in Texas. That bill went on to be passed in 1983. In the early 1980s, Birdwell’s organized rebelliousness helped home brewing make its way to legalization with a signature by Governor Mark White. The home brewing scene in Houston began bubbling long before the nation would take notice. Bolstered by nationally recognized home-brew competitions and a growing mass of cult followers for good beer, Birdwell and others continued the good fight. In another unknown-at-the time attempt to create a beer boom, he and his home brewing colleagues pushed for legislation to make it legal for a restaurant or bar to brew beer on site and sell it straight to consumers. This began the rage in the 90s that was the brewpub, and it would be the spark that set Houston abuzz garnering Clutch City our first of dozens of GABF medals. Village Brewery (now defunct), in Houston’s affluent Southwest area inside the loop, brought home Gold for their Resolution Ale alongside (also now defunct) Houston Brewery’s gold and bronze for their Stout and IPA, respectively. After starting in the hot summer of 1994, Brock Wagner and Kevin Bartol would take Houston’s home brewing scene and not only put it on the national radar, they’d go on to become the OGs of Houston beer, nearly wiping their predecessors from the history books. Most beer nerds have never heard of The Village Brewery or Houston Brewery, but everybody and their dog knows about good ol’ Saint Arnold. While the inventors of Twitter and Instagram were still at their middle school homecoming dances, Saint Arnold would garner lines for special releases like their Divine Reserve. 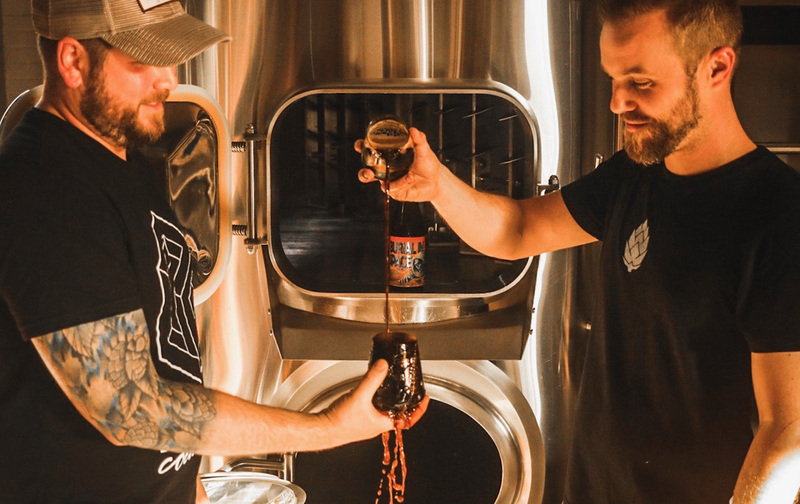 With the likes of Divine Reserve 9 – now known as Pumpkinator – Amber Ale, Weedwacker, and Summer Pils, Saint Arnold has gone from a once-dismissed “silly idea” to Texas oldest craft brewery and a brewery that everyone is proud to call Houston’s. As we approach modern times, the beer boom begins across the nation. Houston would be no different. Bolstered by a home brewing scene that’s continuously bubbled more than a fermenter in high krausen, the stage is now set for Juiceton Texas to become the beer pioneer that it once was. Not satisfied with living in anybody else’s shadow, Brock and the Saint Arnold gang would continue to churn out incredible beer and bringing home the GABF hardware to prove it year after year. Conroe – a North Houston suburb that is a city of its own – would bud another Texas pioneer, Southern Star Brewing Company. Launching in 2007 with a piney, resinous Pale Ale followed by a light, refreshing blonde, Southern Star Brewing Company would go on the be the first brewery in Texas to can craft beer. Pine Belt Pale Ale is still around, but Bombshell Blonde has become their flagship as the crew in Conroe continues to innovate by recently launching “Tall Girls” housing 19.2 ounces of Ale. While these pioneers were paving the way for Texas and what would become Houston beer, legislation in Texas was (and still is) a little prohibitive. 2007 saw the first attempts to allow beer sales for off-premise consumption fail. This attempt would resurface and re-fail several times over, while the ranks of No Label, New Republic, Buffalo Bayou Brewing, and several others would join Houston’s burgeoning scene. While Texas beer laws are still broken, this marked the first change in legislation that allowed breweries to open up taprooms and sell for off-premise consumption, depending on their production levels. 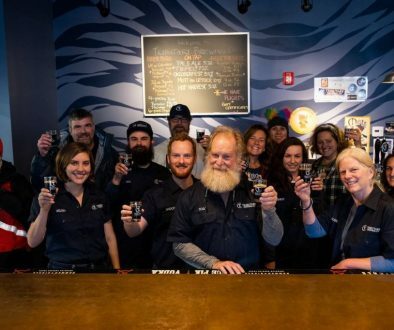 This prompted a handful of breweries to change their license to a brewpub license in order to sell to-go while a rash of other home brewers would be drawing up facilities and planning ribbon cuttings in the next 2-3 years. An at a glance of Houston breweries founding dates helps paint the picture well. Sales of beer to-go are still restricted, and Texas is 1 of 50 states where beer-to-go sales from production brewery taprooms are still outlawed. A bunch has changed for Houston beer since 1994 when Saint Arnold first opened their doors. Texas is now home to over 300 breweries, and more than 50 of them call Houston home according to Brewers Association stats. Also according to the BA, Texas sits atop the charts for economic impact in the nation at 3rd and 8th for BBLS of craft beer produced annually. Zooming into Texas a little further, H-Town is currently home to the winningest Southern brewery at GABF (Saint Arnold) and a half a dozen breweries running up the numbers on the trade market. Once a land of well-crafted Light Lagers, Houston has stepped up onto the national scene partially due to the hazy IPA wave. Sparked by a cry by Larry Koestler urging Houston’s breweries to try their hands at NEIPAs, the haze race began, and everybody around the country is a winner because of it. Baa Baa Brewhouse gets the lion’s share of the credit for leading the charge with the first beer to be labeled an “NEIPA.” The nanobrewery recently had to stop production for a little bit while they rebuild their taproom and system in order to keep up with the overwhelming demand. However, Whole Foods Market Brewing Company – the only Whole Foods brewery in the US – was quietly and artfully churning these fruity gems a bit before Larry’s cry. WFMB’s old head-brewer, Dave Ohmer, has now relocated his brewing dexterity to Conroe Texas with B52 Brewing buttressing their already impressive offerings. Ingenious brewing, one of the newer additions to Houston, is getting double takes with wild iterations on the NEIPA style including candy, cereal, and everything else you wanted to eat for breakfast as a kid. These four breweries are making thirsty traders nationwide seek out H-town hazy IPAs, but none more than those from SpindleTap Brewery in the Aldine area of Houston. SpindleTap was voted Most Valuable Brewery by Beer Chronicle readers for the last two years, (and they’re only three years old). News of releases from any of these breweries yield Instagram comments from beer nerds around the country, “ISO!” They’re also the only Houston brewery with a Beer Advocate Top 250 rated beers added within the last year alongside the likes of Treehouse, Trillium, Parish, and Other Half just to name a few. (Houston Hazier currently ranks 165). If that weren’t impressive enough, they lead Houston breweries for Top Rated Beers: Texas with 7 on the leaderboard, beating out Houston hard hitters like Brash (6), Saint Arnold (4), Lone Pint (2), Southern Star (2), and 11 Below (1). The hype that is the haze has been recalled by national beer publications like Hop Culture, and national just-about-everything publications like Forbes while breweries like Eureka Heights and Holler have taken home GABF hardware for less hazy and less hyped styles like Cream Ales and ESBs, respectively. With a new brewery seemingly every few months now, and dozens more working on licensing, there’s something for every beer drinker here in H-town. It seems that trend will continue for a while. Those crying that Houston’s behind the nation would to well to crack open a history book. Cheers.